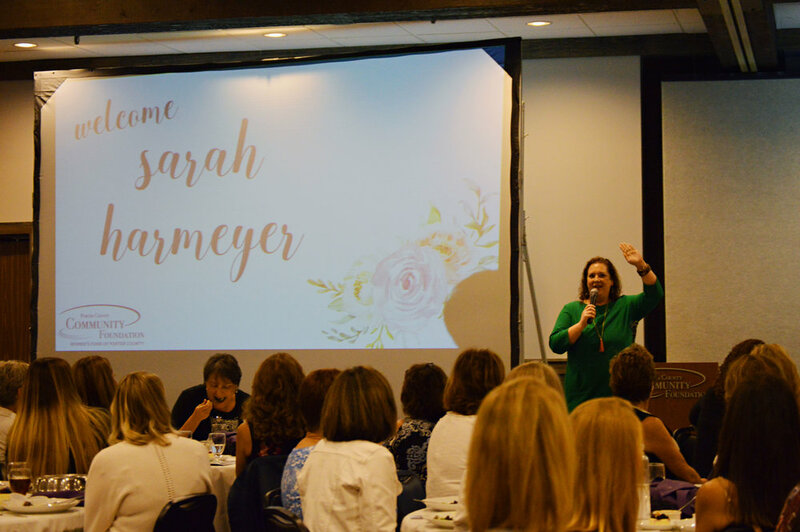 “When is the last time you have done something for 522 days,” said Stephanie Jones, to the 234 women in attendance at the 17th Annual Women’s Tea hosted by the Porter County Community Foundation. “Something that you love; that you’re passionate about?” she asked the crowd. For Stephanie, what started out as a New Year’s Resolution turned into an ongoing, philanthropic adventure. For 522 days straight, Stephanie gave a gift. “My definition of a ‘gift’ is when you give something and expect nothing in return,” said Stephanie. As she spoke of her intentional, sometimes serendipitous gifts given away throughout this journey to family, friends or even complete strangers, she explained how this challenge really stretched her, in more ways than she could have imagined. 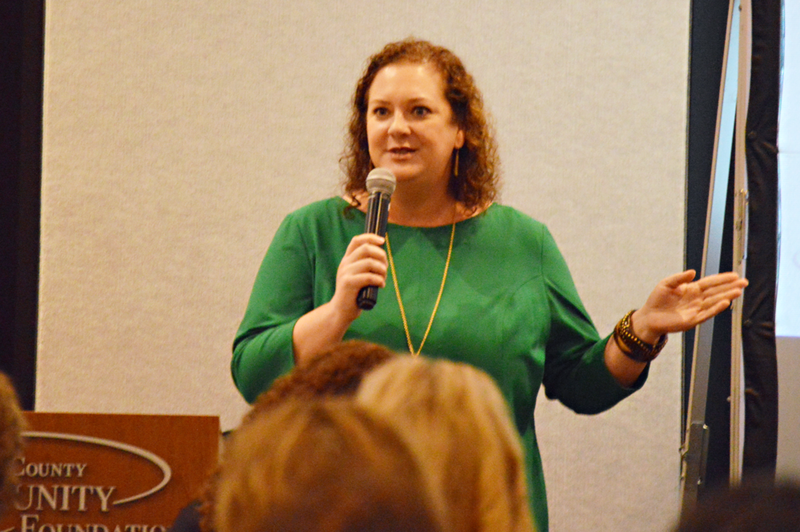 Stephanie shared her inspirational journey and challenged those in attendance to stretch themselves by giving a philanthropic gift to the Women’s Fund of Porter County and help make a difference in the lives of women and children, right here in our community. “What you have done here is pretty crazy,” said Bill Higbie. Today, more than $500,000 has been awarded in Women’s Fund grants to nonprofits in Porter County. The Women’s Fund now holds nearly $800,000 in an endowed fund, ensuring that the positive impact will continue forever. “Thank you for being crazy generous,” added Higbie. Stephanie Jones is an author, speaker, and life coach. As a fearless changemaker, she’s been a private investigator, police officer, and senior manager in a Fortune 100 company. Stephanie is a member of Impact Porter County and serves as a board member for the Porter County Community Foundation. If you would like to learn more about Impact Porter County, view recent grant recipients, or find out how you can help make a difference, visit www.pccf.gives.